Much has been made (including here on this site) of the landmark year 1986 was in terms of heavy metal and hard rock, but the year exactly a decade before was probably even greater, not just for heavy rock but for music in general. 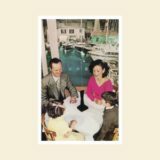 Led Zeppelin had reached their artistic and commercial pinnacle by the time of Presence, but their seventh album still showed them at a creative height. Recorded while Robert Plant recorded from a car accident, Presence was Zeppelin stepping back to their hard rock roots, eschewing the folksy and acoustic elements for glorious rocking, highlighted by cuts like ‘Hots on For Nowhere’, ‘Candy Store Rock’, ‘Nobody’s Fault But Mine’ and the sprawling opener ‘Achilles Last Stand’. It’s been said that while Sabbath invented metal, Judas Priest made it heavy, and arguably this is the album that did it. 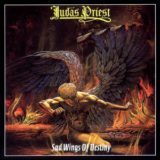 A sprawling and diverse journey through dark tales of sorrow and violence driven by outbursts of guitar savagery and the multi-octave operatic freakish vocals of Rob Halford, the speed and brutality of tracks like ‘Genocide’ and ‘The Ripper’ took heavy metal to a completely new level from which it never looked back. Home to their most enduring song, ‘(Don’t Fear) The Reaper’, BÖC’s fourth album saw the band taking fertive steps away from the shadow of their Svengali manager/producer/song writer Sandy Pearlman into a more mainstream albeit quirky direction. 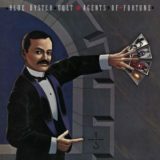 On Agents of Fortune, the band moved through blazing hard rock to country-tinged pop rock, haunting ballads and sci-fi freak outs, fiery solos, three- and four-part vocal harmonies and a guest spot from Patti Smith as they ascended to the highest point of their career. Following the commercial breakthrough of Alive!, Kiss was able to bring in a name producer for their fourth studio album. Alice Cooper producer Bob Ezrin brought in every trick in his arsenal, smoothing out the sound and adding strings, overdubs, sound effects and choirs to the band’s oeuvre. 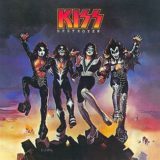 Destroyer was the biggest sounding Kiss album to that point and helped to make the album flow as a complete suite of songs that have remained favourites to this day. 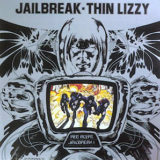 Thin Lizzy had one more chance to deliver the goods or risk being dropped – Jailbreak paid off in spades. Tracks like ‘The Boys are Back in Town’ showed the true flowering of Phil Lynott’s Springsteenesque song writing and in ‘Cowboy Song’ and ‘Emerald’ Scott Gorham and Brian Robertson lay down truly stellar twin-guitar harmonies and lead breaks that would influence British metal from that time forward. 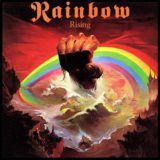 After Ritchie Blackmore put the broom through his original version of Rainbow, his new line-up emerged from the studio in May 76 with the greatest album of neo-classical metal ever recorded. Dio’s talent as a vocalist and lyricist were in full bloom and Blackmore’s interplay with keyboardist Tony Carey is rivalled only by his previous work with Jon Lord in Deep Purple. The album’s second side, comprising only two tracks, are breathtaking examples of virtuoso musicianship and dark Baroque heavy metal bombast at its best. Considering the life-threatening levels of hedonism that Aerosmith were indulging in by 1976, it’s somewhat amazing that they were capable of anything other than dying. Instead, they created one of hard rock’s true masterpieces, a platinum selling monster that directly influenced members of Guns N Roses and Metallica to create meisterwerks of their own a decade later. 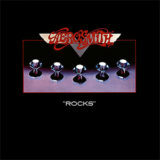 Rocks by name and rocking by nature, this was the album that captured the true essence of one of America’s greatest ever bands. MIT music gradute Tom Scholz had been working on a bunch of songs in his basement while trying to land a recording contract. 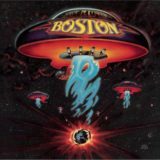 Boston’s style of slick melodic hard rock hit instant pay-dirt, eventually shifting an incredible 17 million copies in the US alone with the opening track ‘More Than a Feeling’ going on to become one of the most iconic rock songs of all time. More than this, Scholz’ idiosyncratic and obsessive production gave the album a timelessness that has lasted to the present. Opinions vary on AC/DC’s third album, with some suggesting it was weaker than the releases on either side and others claiming it to be better. 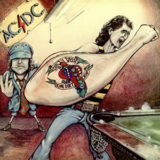 Either way, at this point of their career, AC/DC were absolutely on fire and Dirty Deeds held a sense of menace and danger that they hadn’t quite displayed before. 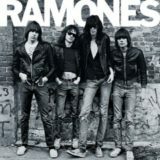 While ‘Ain’t No Fun’ did hang around a bit long, the rest of the tracks were prime malevolent rock n roll rebellion with the exception of Bon Scott’s sublime reflective blues ballad ‘Ride On’, a side of the band they would not show again. 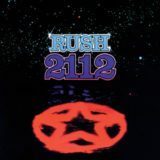 The first of an incredible run of deftly creative albums of equal quality, Rush combined the Zeppelin-inspired rock of their first two albums with the progressive rock pretensions of their third to create their first true masterpiece. Dominated by the seven-part Ayn Rand-inspired title track that takes up the entire first side, the second half featured a clutch of fantastic rockers like the Eastern-flavoured ode to Golden Triangle, ‘A Passage to Bangkok’ and the rollicking ‘Something for Nothing’. The absolute anithesis of the Zeppelins, Bostons, Queens and Rushs of the world, da Brudders stripped rock n roll back to its basic elements. Their buzzsaw and bubblegum blitzkrieg was derided or ignored by the mainstream, but it connected right where it counted – the underground. Punk rock had arrived.